Detective Dee: The Four Heavenly Kings (2018) – What's New on Netflix Canada Today! 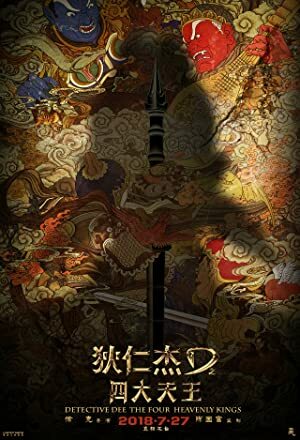 Di Renjie zhi Sidatianwang (original title) – Framed by an empress who plans to steal a dragon-taming mace, imperial magistrate Dee Renjie soon uncovers a greater plot that threatens the kingdom. Detective Dee is forced to defend himself against the accusations of Empress Wu while investigating a crime spree.